It has been 20 years since the last football game has been played in LA and this long period is nearing its end. NFL sources and experts state that there is a big possibility for two teams to move to the West Coast metropolis. The plan involves a team that will announce their intentions to choose LA as their new destination during the 2015 or 2016 season. The Rose Bowl will also be played in Los Angeles, but everybody is waiting for the construction of a new stadium at the place of the Coliseum. The Rams, Raiders and Chargers are the three most serious candidates for relocation. Wearing a black Raiders cap in Compton is a sign of respect to the culture back in the 60's when the Raiders were one of the best teams in the league. It would be pretty cool if the Raiders come back to LA. The Raiders are also in the best financial position to do this switch. Their lease ends after this season. The Charges and Rams on the other hand can leave with paying some minimal fees. The Rams and Raiders left the city after the 1994 season and the Chargers were located in LA before they went to San Diego in the 60's. Los Angeles is a sport city and basketball is getting just too much attention. 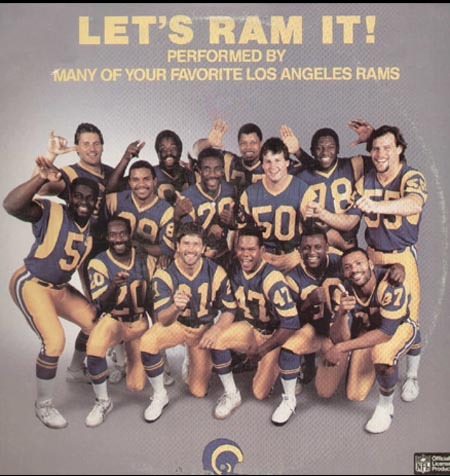 People of LA need that Monday night football action back in their lives. Bellow you can see some of the last days of the Raiders during their tenure in LA.